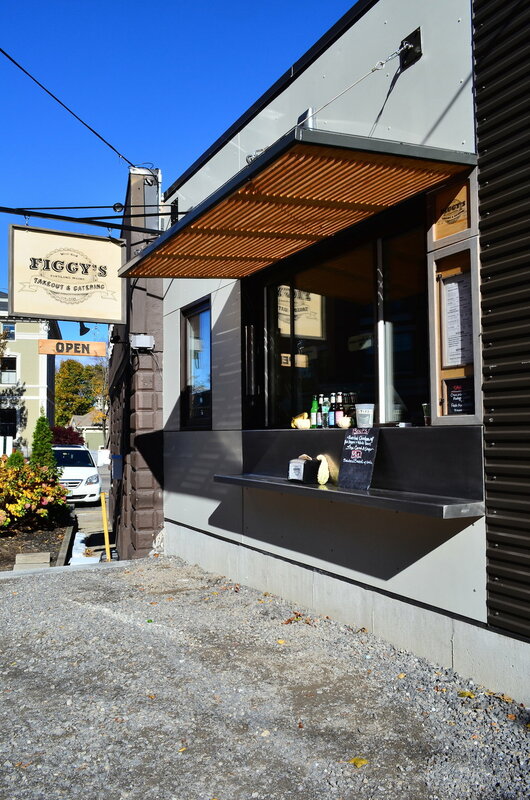 This small addition sits at the border of a busy commercial street and a quite, historic residential neighborhood. The design therefore needed to bridge the gap between the two realms by relating to both the gorgeous and well preserved 1868 Italianate Mansard roof style A. B. Butler house on one side, and also the nondescript concrete block building to which it was attached. The building's neutral palette is intended to blend in with it's surroundings while not detracting or distracting from the historic neighbors. 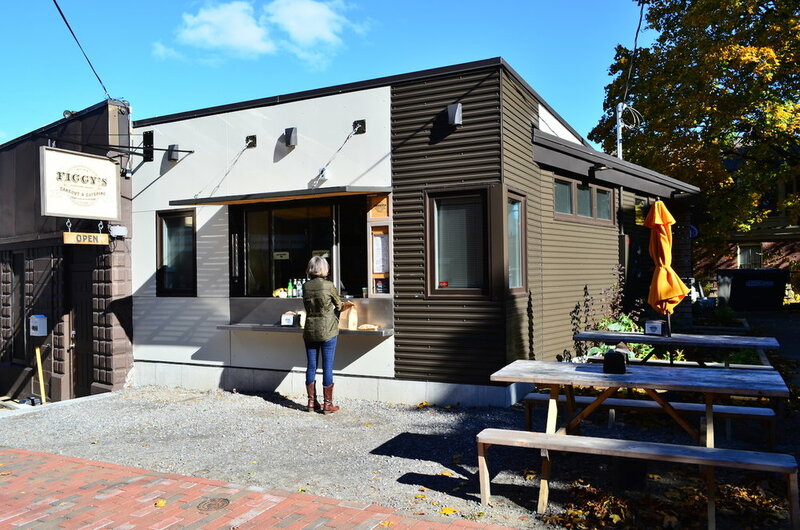 Touches of wood were used at areas of human interaction, such as the canopy at the takeout window and a slatted wall and soffit at the entry, to help create contrast and warmth. Durable materials such as corrugated metal siding and cement board panels were chosen for the remainder of the exterior to help keep maintenance to a minimum. The under 500 SF footprint houses a small walk in cooler, powder room, and office in addition to the commercial kitchen space. The building's form relates directly to it's site. 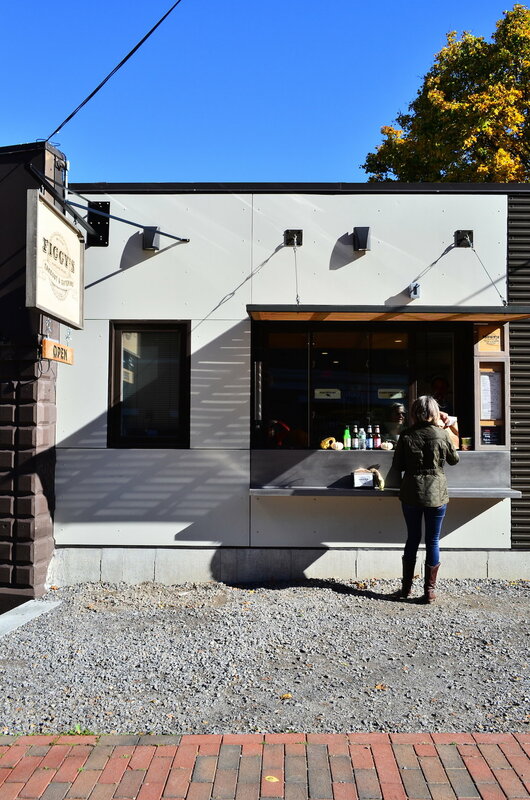 The side wall kicks out to parallel the existing building and create functional kitchen space on the inside, while the public facade aligns with the street, creating an area between building and sidewalk for ordering and mingling.